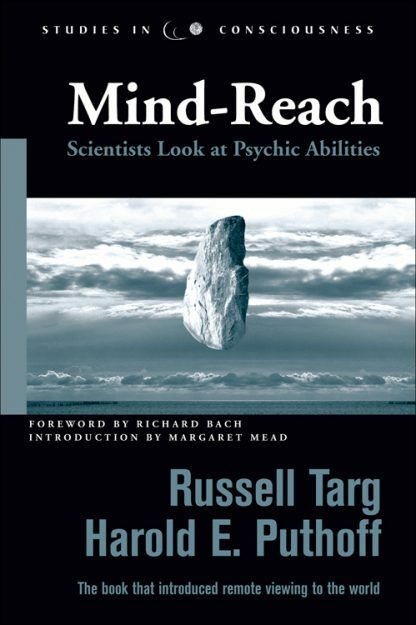 Originally published by Delacorte, Mind-Reach is the book that led to the U. S. Army�s psychic spy program and the subsequent prominence of remote viewing. The protocols that physicists Targ and Puthoff developed at the Stanford Research Institute are still in use today and have proven again and again in laboratory settings that psychic ability is universal. Targ is the author of three recent books with New World Library: Limitless Mind, The Heart of the Mind, and Miracles of Mind. Mind-Reach is the eleventh title in Hampton Roads� Studies in Consciousness series. Richard Bach is the author of Jonathan Livingston Seagull, Illusions, One, The Bridge Across Forever, and numerous other books. He lives outside Seattle, Washington and still flies his own plane whenever he has the chance.